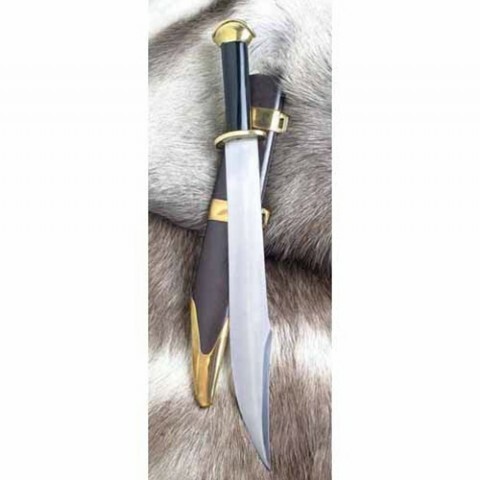 Rugged fighting knife based on the Nordic Seax. Solid, useful pattern was crafted in sizes from 15cm to short sword length. Blade profile has a good point and sharp top edge. Horn grip with bras pommel and guard. Blade length 37cm x 4.5cm. Attractive period scabbard to match. A very functional period knife.